The Canine HealthCheck is an at-home, canine genetic health test that allows dog owners to screen their dogs for over 150 genetic diseases and traits. When you collect the sample, you'll swab the inside of your dog's cheek. Then just return the sample to our laboratory via the prepaid envelope. Seven to ten days after receiving your dog's sample, we'll provide a breakdown of your dog's genetic health in a secure online account just with your dog's results just for you. 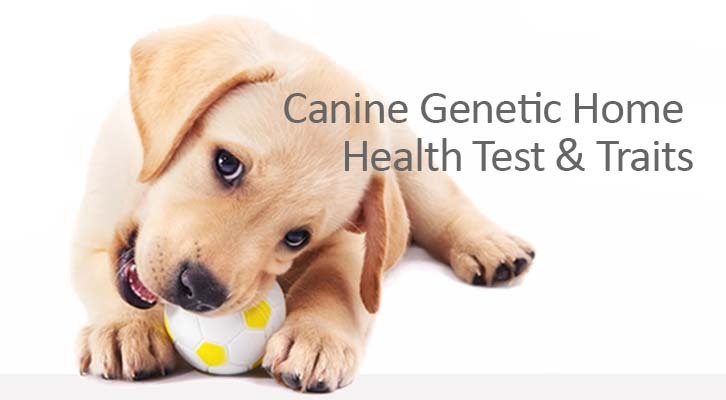 The Canine HealthCheck will allow you to better understand your dog's genetic health. Information on any diseases we test for is available on the laboratory website. Anything you learn from this test can be shared with your veterinarian to provide optimal care for your dog! The overall cost per test is less than $1 as compared to costly veterinary diagnostic workups which can start at more than $100 each. Testing your dog with the Canine HealthCheck will help you to avoid costly veterinary workups, care for diseases that are treatable, and intervene early when your dog shows clinical signs. Health Knowledge Center Index with important, informative articles, books and videos on a wide range of health topics. Shop with confidence at no risk. For your protection, we are happy to offer our clients a 30-day money-back guarantee.